We love road trips. Why? Because they’re for every age, interest, and budget. From a girlfriend getaway to a romantic vacation to a family adventure, road trips are the perfect way to scratch your itch to travel. Planning road trips are usually easier to do. But unless you plan wisely those few hours on the road could feel like years. Here are some handy tools to make your life easier. 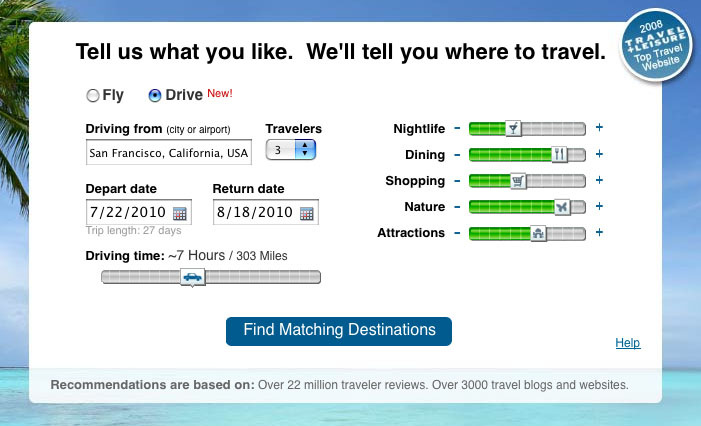 They just introduced a tab on its site for drive vacations. Enter your origin, number of travelers, how many miles max you wish to cruise, and your personal travel preferences (nightlife, dining, shopping, nature, attractions). 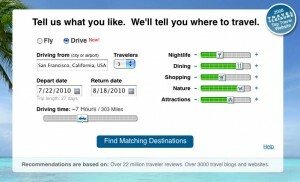 It helps travelers find the perfect road trip destination. Then voila, Tripbase will find you the perfect road trip spot and journey. We like to keep things old school too, but sometimes comfort beats classic, for example, the wonderful invention of the GPS. Why make driving more stressful? Leave the worrying for other road mishaps. Try: Garmin’s wide variety of GPS systems for your car or motorcycle. For the car, Nuvi is the best option. It has Google local search, so you can find plenty of restaurants and places of interest along the way. We agree that unplugging is great for relaxation, but we know many travelers who love blogging about their trips. It’s fun for friends and family back home to virtually travel with you. Wireless USB devices allow you to search the internet from anywhere. Simply plug it into your laptop and you’re good to go! Nothing is worse than your car breaking down in the middle of Bumpkin, Nowhere. But who wants to worry about being overcharged at the mechanics before you leave? This cool, new tool provides a check-up for your car performed by you! CarMD is an electronic device that tracks and monitors the health of your car. Just plug it into your car and it reads the vehicle’s on-board computer. Then, plug it into your PC and read the health report of your car, complete with probable causes, fixes and estimated costs. On to the next dilemma: What tunes should I rock out to? Thanks so much!! The tripbase.com is a very cool site! Thanks for the heads up! I will definitely be using this as much as I can!